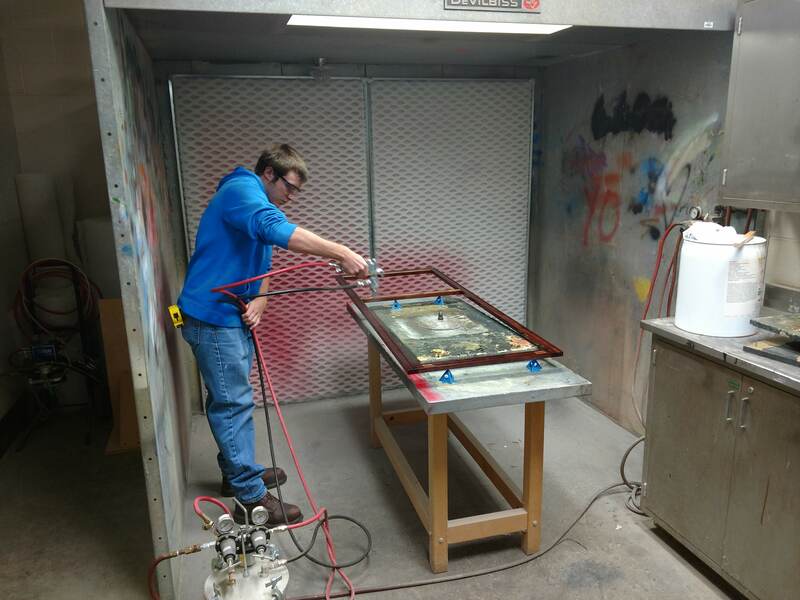 A student at Reed-Custer High School, Braidwood, Illinois, learns professional spraying techniques in a partnership with Accessa Coatings. Lots of woodworking businesses complain about not being able to find skilled workers, but at Reed-Custer High School in Braidwood, Illinois, they are working to change that. Young men and women are preparing for careers in fields where people design, construct, build, service and repair — hands-on, skilled jobs. Mark Smith, who at one time was director of the WoodLINKS USA effort, leads the school’s Industrial Technology program. He works to collaborate with industry to improve the program. One such long-standing partnership involves finishing, where his students have used Accessa coatings and stains for about 17 years. Accessa recently donated product and expert consulting for Smith’s class. 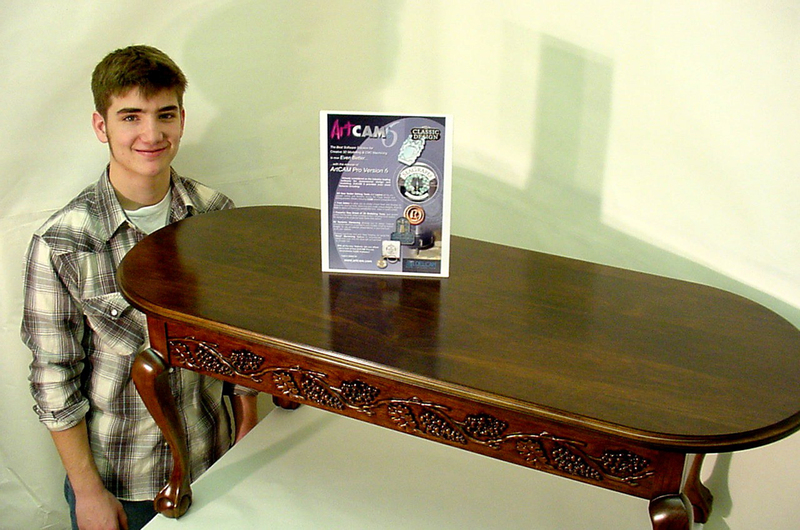 Students in the program have been using Accessa finishing products to finish their projects such as this table in a longstanding partnership between industry and education. Many of the Reed-Custer students will pursue post-secondary education opportunities in engineering, advanced manufacturing, architecture and CADD. Working in a space designed to feel like a commercial computer-integrated manufacturing facility, students are executing high-quality projects with the help of partners like Accessa. 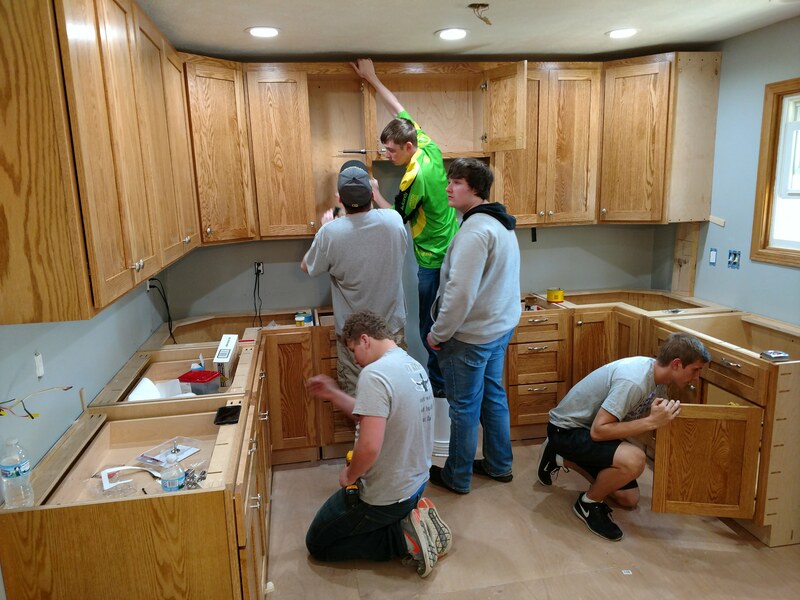 Cabinet assembly is just one of the skills taught in the Reed-Custer High School Industrial Technology Program, which is led by Mark Smith, former director of WoodLINKS USA. There are two destinations for student projects. 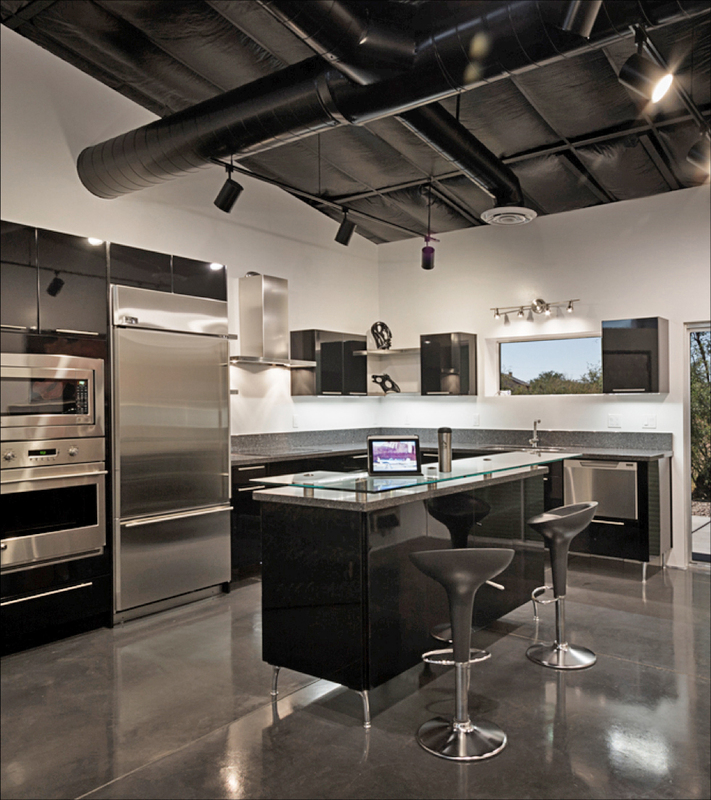 Case goods, such as cabinets and entertainment centers, and signs that are delivered to residential or commercial spaces. All other projects go home with students. Those include long boards, foot stools, bed frames, shelving units, tables and chairs. 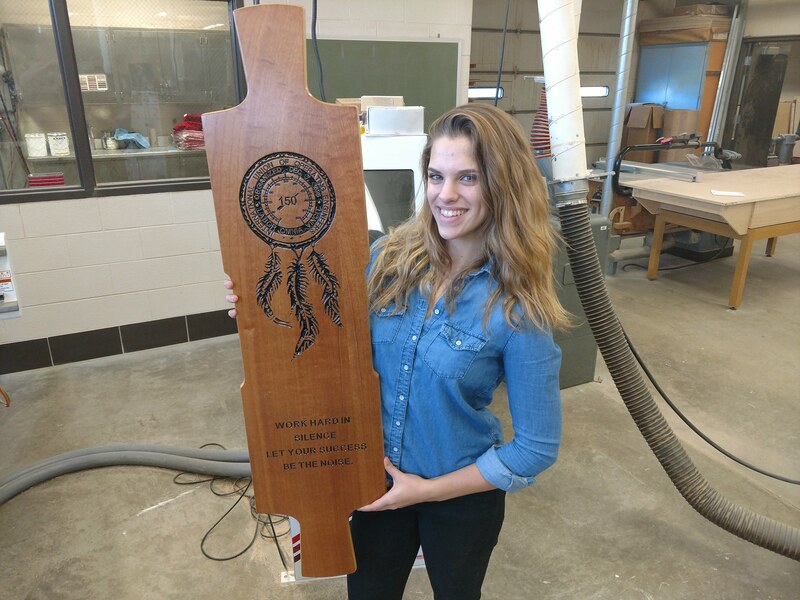 Besides pro finishing skills, the students learn CADD and CNC manufacturing processes to make things like this sign. To find out more about the Industrial Technology program at Reed-Custer High School and see completed projects at rchsit.weebly.com.